Diarrhea in Horses involves the passage of loose or liquid feces at an increased frequency. 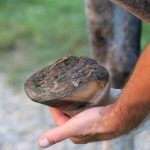 It is one of the more severe problems that affect horses and is undoubtedly one of the more difficult and frustrating disorders to deal with. This is shown by the tremendous response to conventional therapy and either die or progress to a chronic state. 1. Whether or not an animal develops diarrhea depends upon the balance between absorption and secretion of water by the cells of the bowel lining. 2. 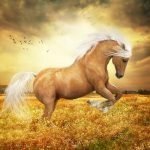 A healthy 500-kilogram horse will drink about 25-50 liters of water a day, depending on weather conditions, amount of work, and type of feed. 3. The large bowel will usually reabsorb this fluid. Any decrease in absorption or increase in secretion by the intestine, however, can result in substantial volumes of fluid lost as diarrhea. A loss of body salts (sodium and potassium). Poor fluid absorption by the large bowel. 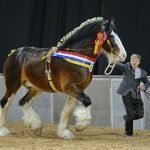 Poor horse diet composition and quality. Sudden changes in diet composition and quality. Antibiotic disturbance of healthy gut bacteria. Heavy infestations of small strongyle worms. 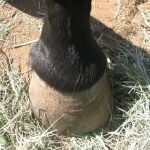 A change of horse diet onto lush green feed or lucerne hay may precipitate mild diarrhea that will firm up with time or another minor feed change. Horses grazing poor pasture, mainly late summer pasture that is dry and short, may develop a watery post-defecation discharge. In all other respects, the horse is generally healthy. This form of diarrhea may be a sign of “Sanding,” where the ingestion of soil irritates the large intestine. Supplementary feeding and management changes can usually remedy the condition. Salmonella spp infection is the most commonly recognized agent causing acute symptoms and is highly infectious. Affected animals should always be isolated and need intensive veterinary treatment. Salmonella is contagious and may affect humans as well. Many other bacteria and viruses can cause diarrhea. This fatal hemorrhagic enteritis occurs in all types of horses. 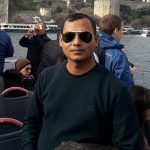 As the name implies, the cause of the disease is unknown, but it is likely that stress, exhaustion, low resistance, endotoxemia, and enterotoxaemia are contributing factors. Heavy infestations of large and small strongyle worms may damage the intestine and lead to severe diarrhea. If left untreated this can become chronic and intractable. Small strongyle worms are recognized as a prevalent cause of chronic diarrhea. 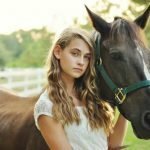 The part played by horse stress in diarrhea outbreaks cannot be over-emphasized, since many cases in adult horses can be traced to stressful experiences. These include transport, major surgery, recent doses of oral worm paste, stressful exercise, and movement to a new property or stabling for the first time. 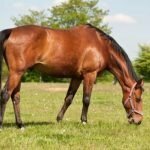 Fortunately, Adult horses do not often suffer from diarrhea, but it nevertheless remains a severe health risk demanding prompt investigation and treatment. Abdominal discomfort (Colic) frequently precedes the onset of diarrhea in horses. This discomfort is typified by restlessness, loud gut sounds and loss of appetite. The general horse behavior of the horse is a valuable indicator of the severity of the Scouring in Horse. The body temperature will rise early in the course of the Diarrhea in Horses but may fall as shock and dehydration develop. Dehydration may be evident in the horse’s lethargy, dry gums, darker gum color, and reduced urination. 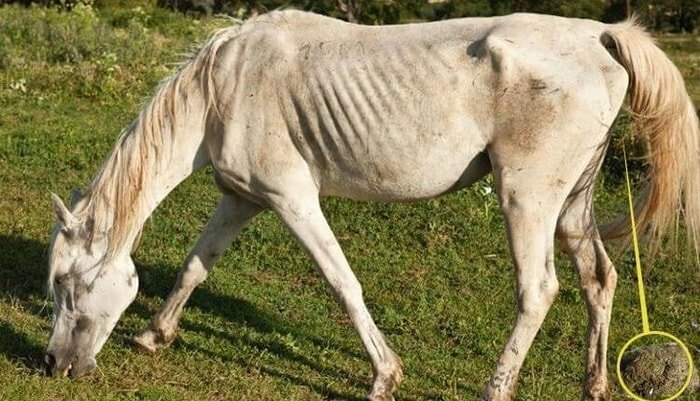 Dehydration horses will also show “Skin tenting,” the slow return of skin folds to normal position after a fold of skin has been picked up. 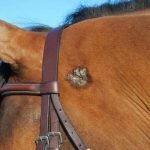 The skin- fold pinch test hard to interpret unless you know what is normal, so first pick a fold of skin up from the neck of a healthy horse and watch how long it takes to flatten out. Projectile diarrhea becomes visible tail soiling. 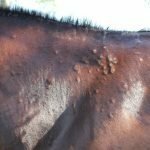 At the first signs of severe diarrhea in horses, Veterinary help should be sought. If a horse’s droppings are soft or cow-pat like you may wish to observe the horse for a while before calling the vet. This is a reasonable course provided the horse is bright and alert and is eating. Treatment includes giving large volumes of intravenous fluid, pain relief, systemic antibiotics, and intestinal absorbent. This intensive care is costly and time-consuming. 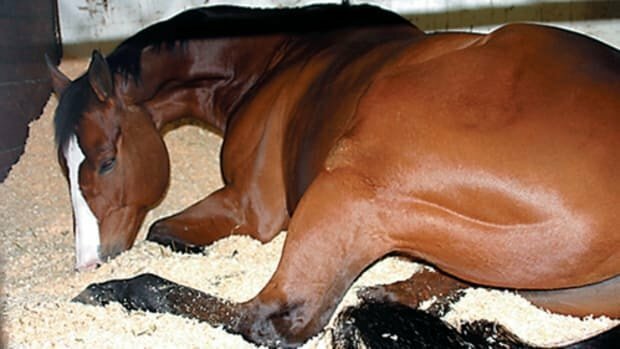 Acute Diarrhea in horses cases that do not prove to be Salmonellosis or Colitis X may be just as disturbing to the animal and as hard to resolve. Dehydration and electrolyte disturbances need urgent electrolyte replacement, and because of the difficulties in isolating the cause, broad-spectrum antibiotics are often recommended.